SkillZONE is calling for more volunteers to join its centre this New Year to help make a difference to the lives of young people by teaching them to stay safe. Run through Gloucestershire Fire and Rescue Service and Gloucestershire County Council, SkillZONE is a state- of- the- art building in Gloucester with a life-size street scene inside. School groups, clubs and the wider community identify danger in nine different situations such as hazards in the home, cyber bullying, crossing a road and how to evacuate from a fire. Retired Gloucester firefighter Stu Slatter says of volunteering; “I enjoy talking to people and it funneled some of the skills I already had when I retired. Volunteer Jo Elliot of Stroud adds; “It is such an exciting environment even though the message is serious and getting these good safety messages to children is a really positive thing. 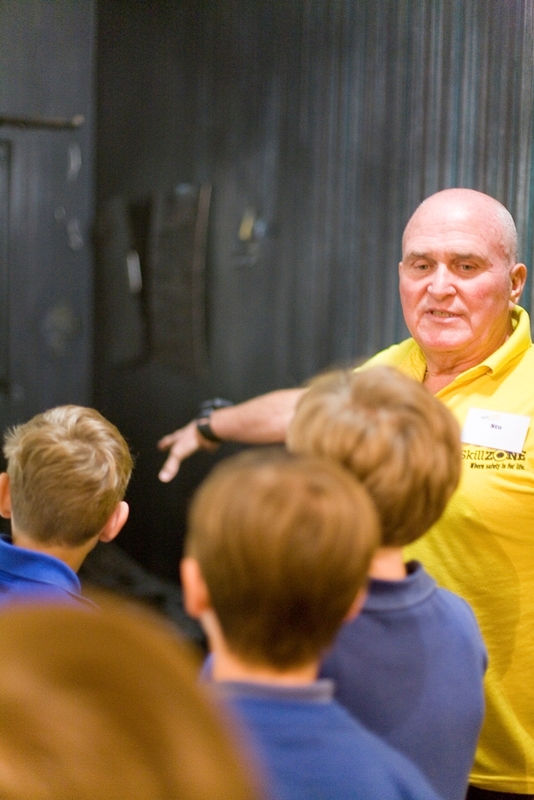 Volunteer guides are needed to lead groups on a 2 hour tour around the village scenarios and to encourage children to identify various dangers from a dark alleyway to a building site. Candidates come from all walks of life and are only required to give a minimum of two days per month. In return volunteers will receive training such as in First Aid and Equality and Diversity, and become a valued member of the SkillZONE team. To find out more about SkillZONE or volunteering, visit websitedesignbristol.co/Skillz/volunteer email volunteer@glosfire.gov.uk or phone 01452 834 150.